* Human Urn Ash / Cremains compartment will accept a 6 1/4" x 8 1/4" x 4 1/4" - plastic cremains container from the Mortuary. * No charge for Hand Engraving names and dates on Pet or Human Urns. Commemorate the ones you love by giving them a beautiful resting place. Raysofjoy.biz offers unique handcrafted stained glass cremation urns for people and pets, making it easy for you to honor your loved ones who have passed. Customers love our urns for ashes because they are unlike those found anywhere else, and also because they are the most beautiful urns they've ever seen and love our huge selection of urns and colors. 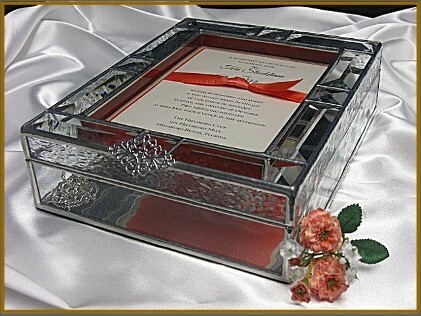 We also offer engraving services with free names and dates and create spaces for special photos and keepsakes. Please call us toll free (866) 475-7869 or email us raysofjoy@aol.com for any questions you might have. 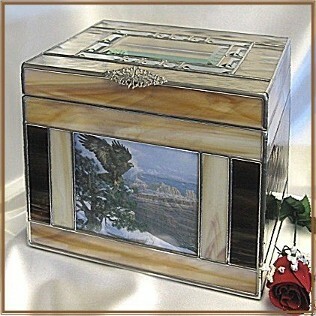 We at raysofjoy.com make one-of-a-kind stained glass cremation urns for customers nationwide. We've been in the stained glass business for more than 35 years and started making urns 15 years ago after our own beloved pet passed and couldn't find a suitable urn. After making our own personal urns we saw a great need for all types of custom and Unique Pet Urn Memorials. And, not long after we started carrying a variety of Human Urns as well as custom urns for Niches and vaults, urns for two people called Companion urns. Some of our most popular urns are Pet Cremation urns, unique urns for two pets and of course for Dog, Cats, ferrets and even Bird Urns. We can personalize our urns with your choice of colors. We offer free engraving of name and dates. 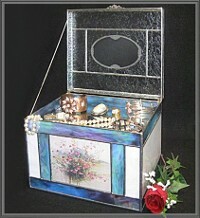 All urns except for our candle urns have a keepsake area, but a couple candle urns have keepsake drawers. We also provide baby and child urns for ashes. kind cremation urns, decorative candle urns & custom dog and cat urns.